If you get claustrophobic, this is probably not the right hike for you. It was not the right hike for me. 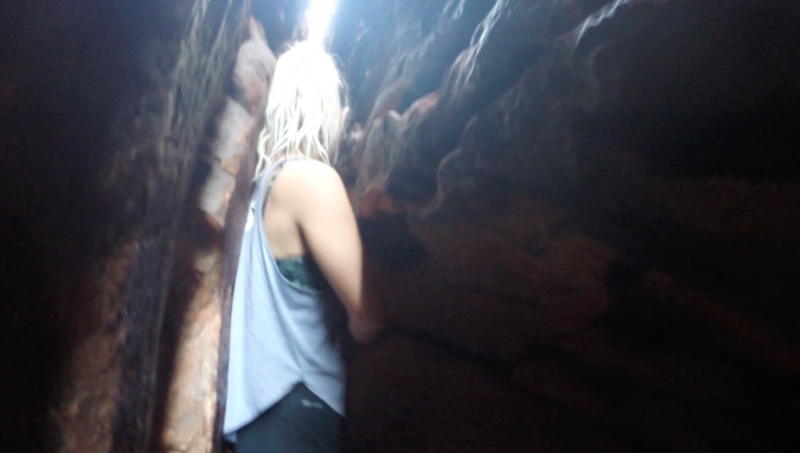 I hate being stuck in small spaces. I even hate it when the blankets get wrapped a little too tight around me in bed and I have to panic my way out of them. What I’m trying to get at is, if I can do this hike, you can too. 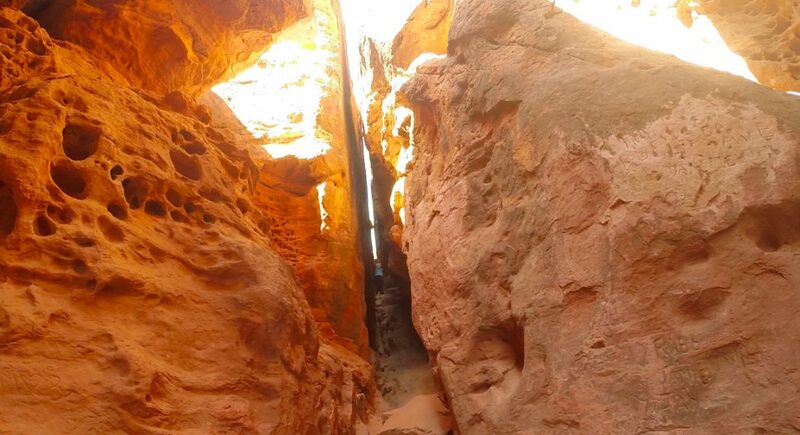 There are points of the narrows that feel very… narrow. 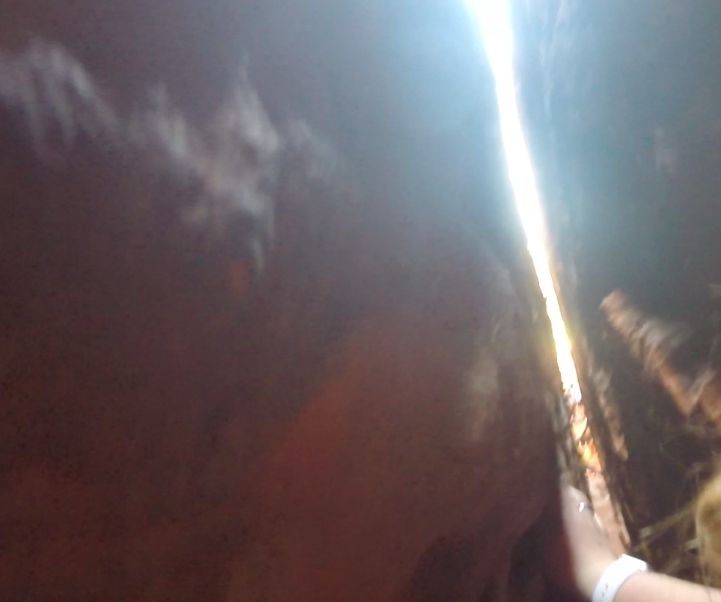 I tried to take a few good pictures for reference of how tight it was in places, but it really doesn’t do it justice. 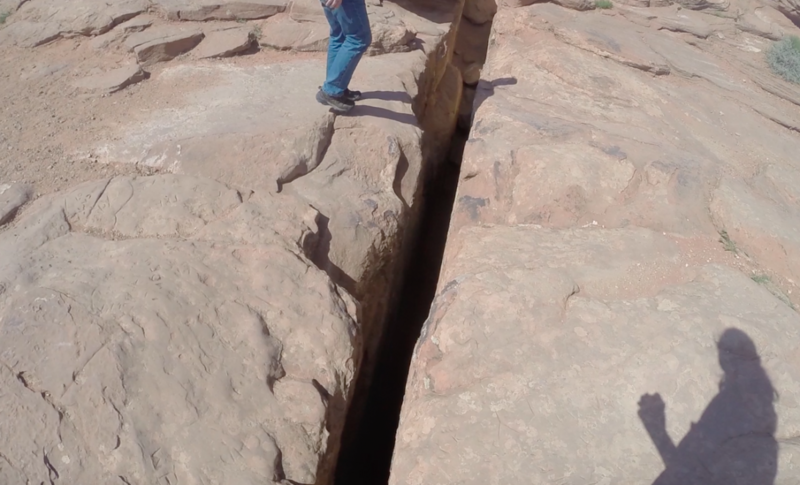 The crack itself wasn’t very long, and probably only takes about 10 – 15 minutes in total to walk through, but how tight it is makes it feel longer. For most of the walk, the ground is relatively flat, with a few spaces you will have to climb up to make it through. There are a few places where you’ll have to jump up on rocks to make it over, probably two or three in total. Once you’re just about done and about to come out the the other end, there’s a section where you’ll have a little extra space to move around. 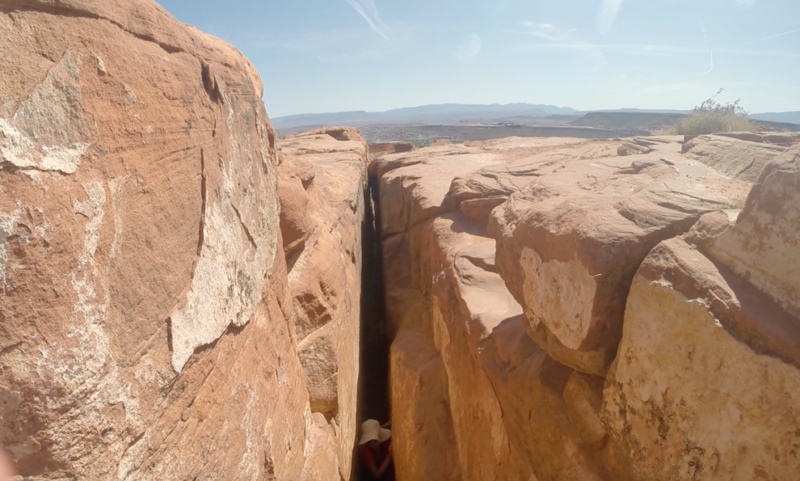 It’s really not that much space, a section that’s about 6 feet deep, but at that point after going so far through the crack, it feels like endless space. The trail lets you out up top above where you walked. You can walk back and look down over the crack. You’ll be shocked at how thin it looks from above, and how you were able to fit through. While this is a small hike, the nice thing about it is where it’s situated, right off a parking lot in Pioneer Park. There are many other little hikes to do around the park, including Dixie Sugarloaf. Next to the parking lot as well is the Red Hills Desert Garden, where you can see a lot of the plants indigenous to St. George. Spend some time around the park after the crack. This is a really easy one to get to. If you’ve driven around St. George Boulevard, you’ve seen Dixie Sugarloaf, which is part of the park. From 100 N (St George Blvd.) turn North onto 900 East, then west onto Red Hills Parkway.